If you’re thinking about planting crops or creating a food plot for ducks, choosing the right plant species is the most important aspect. In this guide, we’ll take a look at the most popular species of plants that ducks love and what you should be planting this season. Ducks feed on over 50 different species of plants, but really love corn, maze, sorghum, smartweed, barnyard grass, and millet the most. Flooding standing crops and developing a moist soil management plan for perennial natives will ensure ducks keep coming back to your food plots year after year. 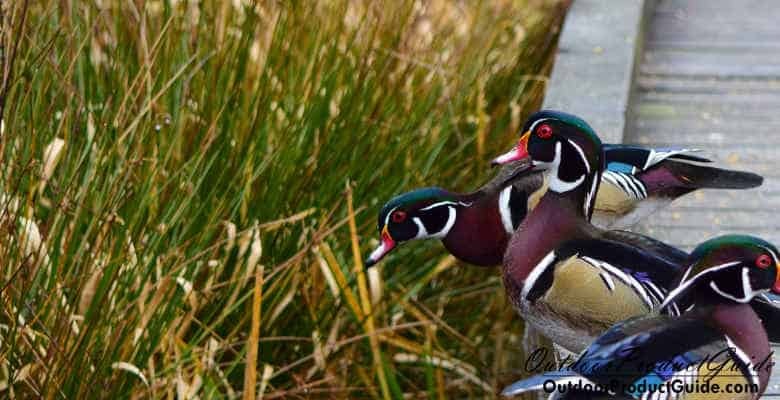 In this review, we will discuss some of the best crops to plant for ducks and what makes them so effective for early season hunting. Ducks feed on corn, maze, and sorghum more than just about any other crop. The availability due to cultivation is extensive across the U.S and flooding large swaths of these crops can result in some of the best duck hunting you can find anywhere. The best time of the year to plant corn, maze, and sorghum is from April to May. This allows for crops to mature and become well established over the summer months. Prior to the arrival of ducks between September and November, corn and maze crops should be flooded at a depth of approximately 1-2 ft. Ducks will use the unharvested plants for cover and feed on naturally broadcasted seeds as the plants deteriorate. Corn, maze, and sorghum are annuals, so you will have to plant them each year to yield a crop. Planting smartweed for ducks is the best native alternative available for food plots in the southern U.S. Smartweed comes from the Knotweed family, and the two that work the best are Pink Smartweed (Persicaria hydropiperoides) and Pennsylvania smartweed (Persicaria pensylvanica). These two smartweed species are very similar, but Pennsylvania smartweed is a larger plant with larger seed heads. Ducks don’t seem to have a preference between the two, and you can even plant both of them in the same food plot. The benefits of planting smartweed for ducks in your food plot are that it’s a perennial species that will continue to grow each season, it takes very little cultivation, and its low growing height is perfect for shallow water applications. Smartweed should be planted between June-July and flooded in October for best results. If you’re wondering what to plant for wooducks, try smartweed. Wooducks and other river ducks love it and it’s a native species that makes up a large part of their diet. Barnyard Grass and other millets are common native species similar to Smartweed that can be found all over the U.S. Barnyard grass is an annual grassy weed that likes disturb soils. It germinates in early spring and matures mid-summer to a height of 2.5ft. Flooding barnyard grass and other millets is one of the easiest food plots to create for ducks. 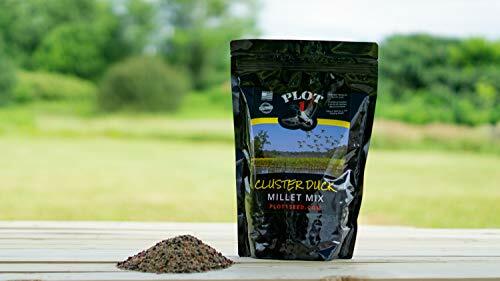 The best way to plant millet for ducks is to broadcast seed 1 to 2 inches in loose soil in April and mature plants can be flooded as early a September. Millet produces large seed heads that can offer an attractive food plot all season long. Ducks really love millet and it’s also cheap to plant. Wild rye is another cool season grass that when flooded, makes for a productive food plot for ducks. It’s a versatile plant that requires little to no maintenance. It’s easy to grow and produces a whiskery like seed head that ducks love to feed on in shallow water applications. Wild rye is best planted in May and can be flooded at any time. It’s best to mix wild rye with other species such as millets and smartweeds to offer a variety of duck food options. Ducks love rice, and wild rice and jungle rice (Echinochloa colona) are two species that are the best to target. If you’re planting duck food in standing water, these are the two plants you should consider. Wild rice can be difficult to cultivate, but once established provides the most amount of seeds versus other plants its size. Wild rice is best planted in moist soil areas that see extended inundation throughout the year. Jungle rice (Echinochloa colonas) is actually a Panicum grass and an annual grassy weed. It forms dense clumps in disturbed soil and ducks love the abundant seed heads that this plant produces. Jungle rice is best planted in mid-April and flooded in November. Food plot success is based on many factors which include soil preparation, broadcast rates, and moist soil management. Species like wild celery, sago pondweed, arrow arum, and smartweed require moist soils for extended periods of time. If you don’t have access to supplemental water, then these species may be difficult to grow with any success. Crop species that require less hydric conditions are better suited for well drained areas that can be flooded prior to the start of duck season. Barnyard grass, Millets, Jungle Rice, Wild Rye, and Panic grasses are species that require little effort after planted and natural precipitation rates are enough for them to mature. Evaluate your food plot location for the species that are likely to grow there. 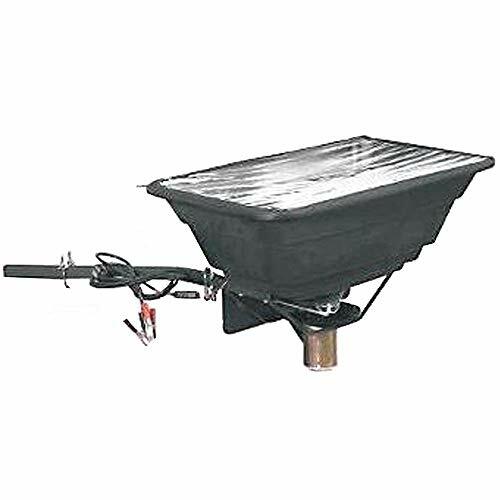 They will indicate if moist soils conditions exist and if you should continue planting like kind species. The same goes for upland areas that will be void of wetter type plants. Choosing the right crop to plant based on field conditions will take a lot of the guesswork out of the equation and maximize your chances of a successful food plot. Pick a variety of crops to plant to maximize your chances of success and give ducks more to choose from. Evaluate the plant species in your food plot area to determine what will likely grow there without any modifications. Develop a moist soil management plan for plants that require lots of water to survive. Identify water sources adequate to flood your food plot prior to duck season. Water depths of 1-2ft are ideal. Native crop species are easier to grow and ducks are more accustom to them. Food plots with the right crops can attract ducks all season long and produce some outstanding hunts. The best food plots for ducks are corn, maze, and sorghum that are flooded just prior to duck season. Ducks can feed in these food plots all winter and even use the dense plant stalks as cover. Native annual plants such as smartweed, barnyard grass, millet, and wild rice are better options for smaller food plots, ponds, and shallow swamps. Once these plants are introduced, they keep coming back each year under the right conditions. Other plants to consider for your food plot are wild celery, sago pondweed, arrow arum, duckweed, duck potato, and mast producers of native pecans. It is best practice to use as many different species in a duck food plot as possible. Not only do you increase versatility since some species of ducks may prefer different plants, but you also increase your chances of a successful crop. Interested in other ways to attract dabbling ducks, check them out here!